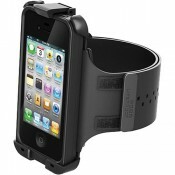 The orange LifeJacket for LifeProof iPhone 5 Case from LifeProof is a foam flotation device that wil.. Designed specifically for your Samsung Galaxy S5, this lens system includes a fisheye, wide-angle an.. 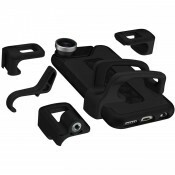 The 4-in-1 Photo Lens for iPad Air 1/2 & iPad mini 1/2/3 from olloclip includes a silver lens wi.. The 4-in-1 Photo Lens for iPhone 5/5s from olloclip includes a space gray lens with black clip. This.. The 4-in-1 Photo Lens for 6/6s/6 Plus/6s Plus from olloclip includes four gold lenses and a white cl..